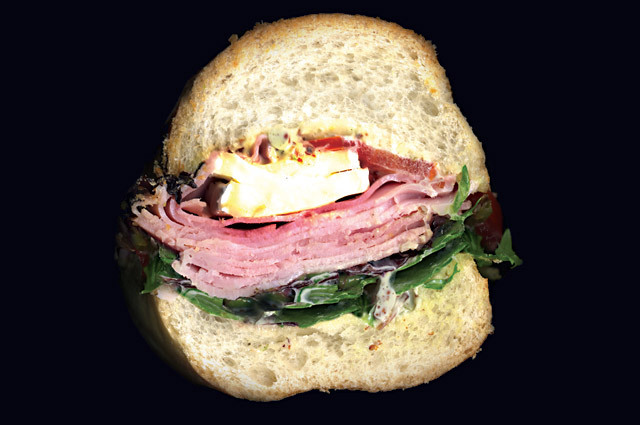 The classic ham and cheese goes luxe with generous hunks of buttery Brie. 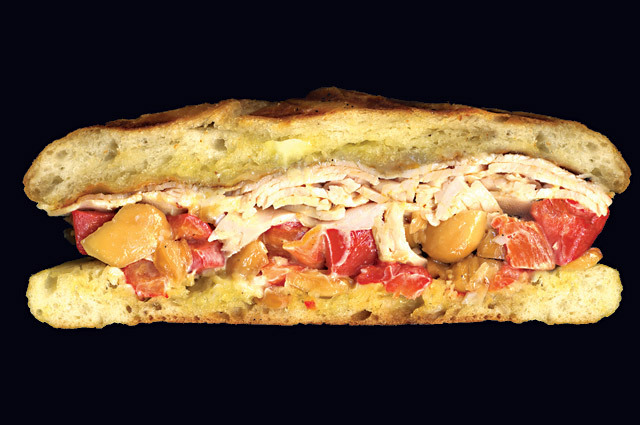 There’s a bonus layer of hot peppers in this triple-decker done Italian style. 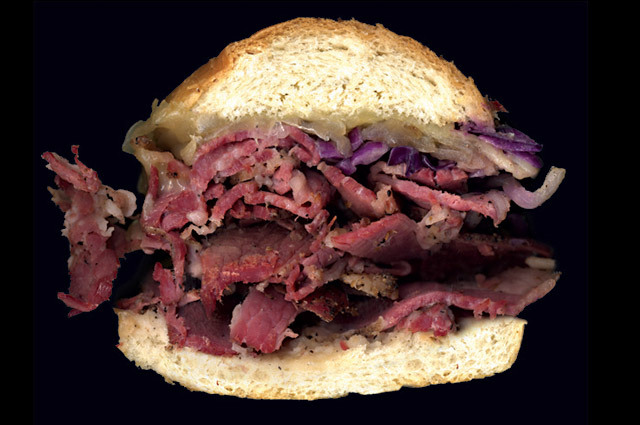 The pastrami here is applewood smoked, house cured, and topped with red cabbage slaw. 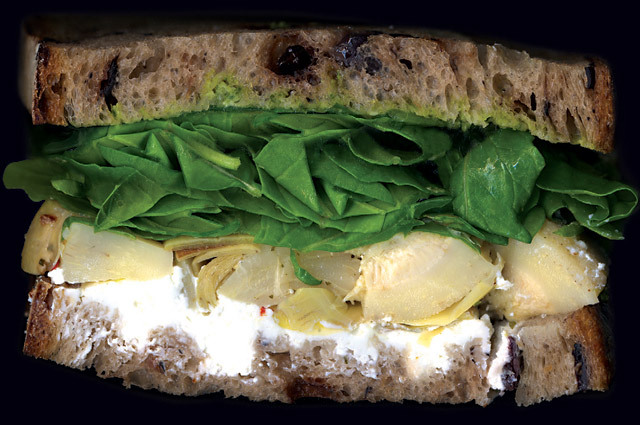 Ricotta complements the tangy artichoke hearts on La Brea’s famous olive bread. 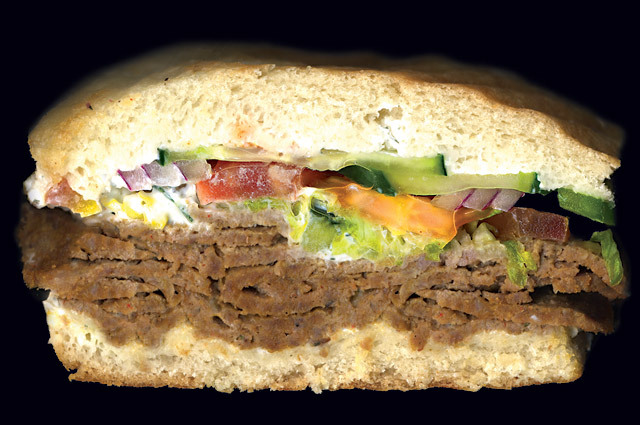 A salad’s worth of veggies lightens this Middle Eastern-inspired classic. 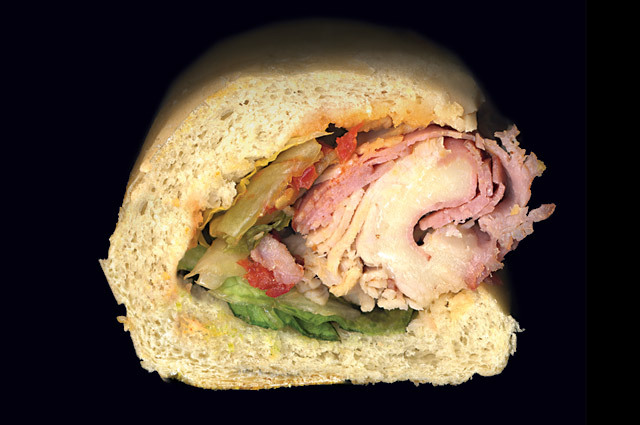 It’s like a religion: house-baked cia-batta, Italian cold cuts, and the works. Whole cloves of roasted garlic stud the cheesy grilled sandwich. 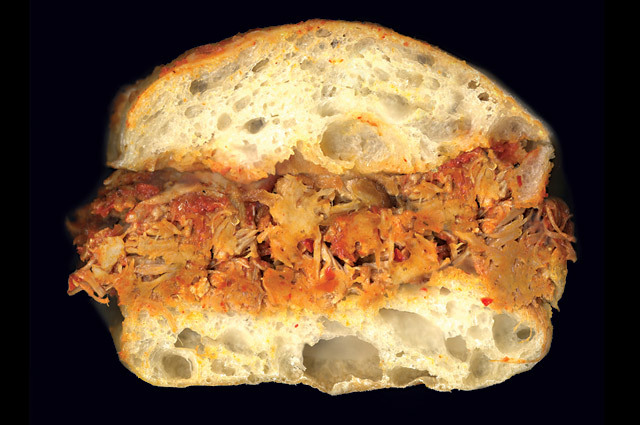 Grab extra napkins—this slow-cooked pork sandwich is double dipped in a red-hot sauce. 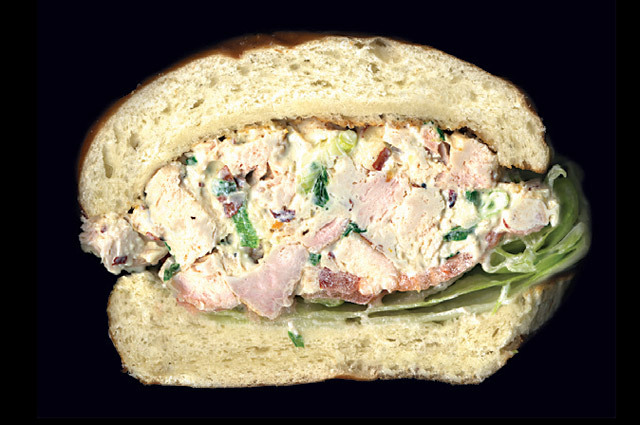 Made with fat chunks of grilled chicken, the salad comes on a puffy pretzel bun. 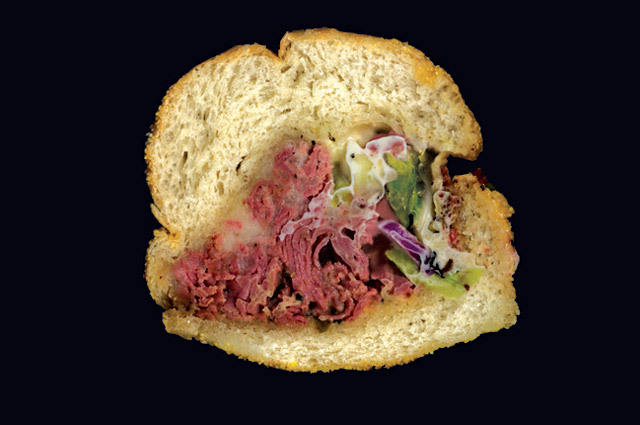 The “other” dark meat is superb, but it’s the snap of the pickles that makes it. 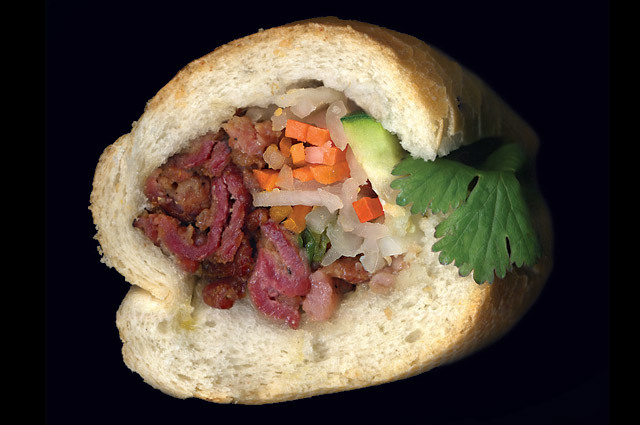 It’s all things in one: cool, crisp veggies and hot, sweet pork stuffed in a squishy baguette. 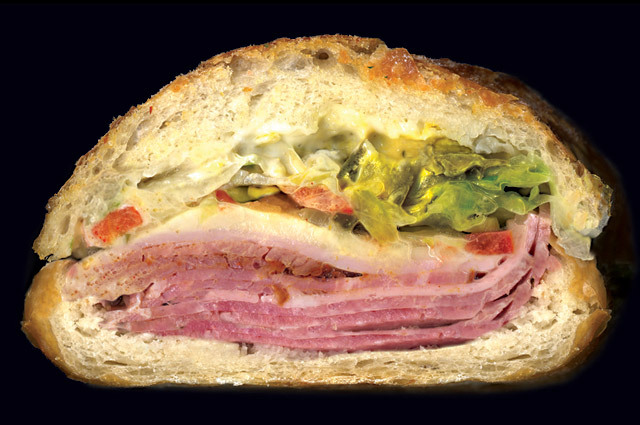 Turkey, ham, and provolone make for a heady combination. Don’t worry, it’s legal. 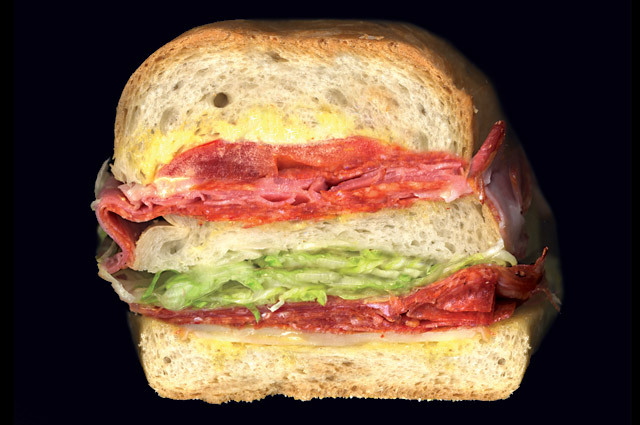 There’s a liberal slather of Russian dressing on this hot pastrami sub. 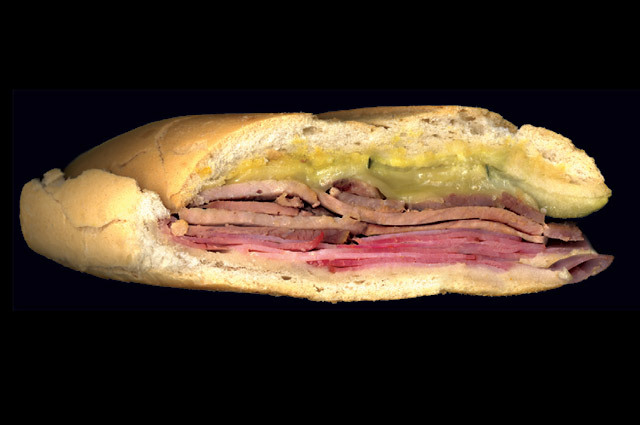 A top-notch traditional Cuban with ham, pork, Swiss, pickles, and mustard. 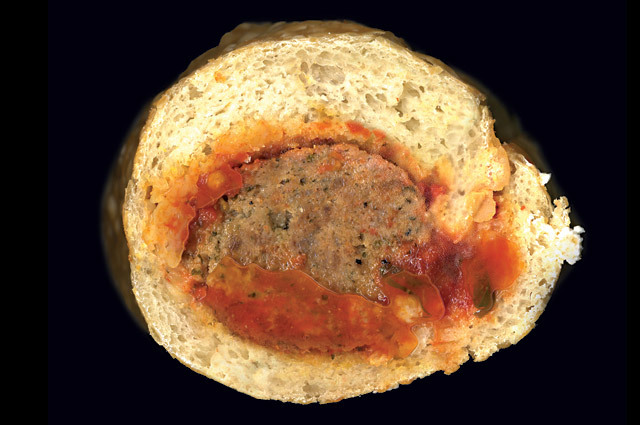 The bread’s bubbly crust is matched only by the tart marinara sauce. 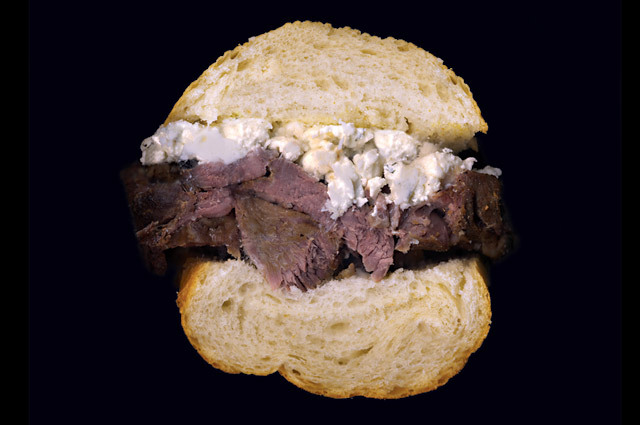 As Greek as it gets: roasted leg of lamb with creamy feta. Don’t forget the peppers. 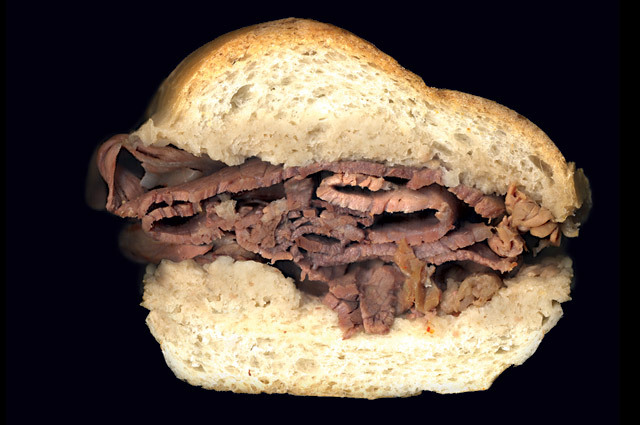 Only a smear of spicy mustard can improve on the roast beef original. 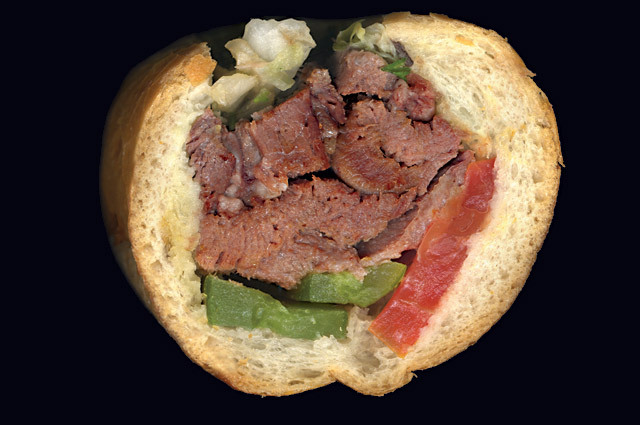 *We weren’t the first to scan our favorite sandwiches. See one food lover’s use of office equipment at Scanwiches.com.